Should you clean your hair styling tools? Most definitely! By hair tools, I’m referring to hair brushes/combs, hair dryers, flat irons and curling irons. There are so many advantages to keeping your hair styling tools clean. Wipe with an alcohol-soaked cotton ball. For any hard-to-reach-places, you can use Q-tips. Use a clean towel to wipe dry. 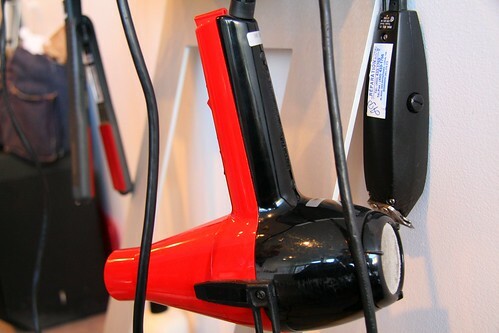 Remove the air vent on the back of the hair dryer and clean out the lint with an old toothbrush. Then, rinse with hot water. Pull out hairs from the hair brush/comb. Then, wash it with shampoo and rinse with conditioner. For combs, use hot water to rinse. Gently towel-dry a bit and then let it completely dry, standing teeth-down on a towel.